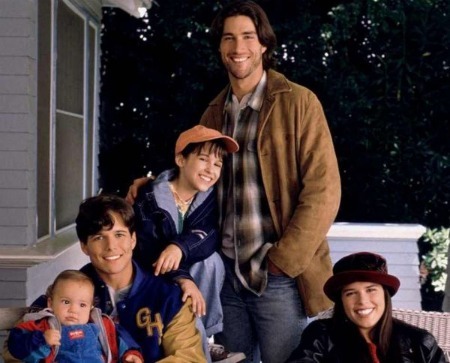 Party of Five ಇ. . Wallpaper and background images in the Memorable TV club tagged: party of five tv show 90's show matthew fox scott wolf neve campbell lacey chabert jennifer love hewitt jeremy london. This Memorable TV photo might contain pakaian luar, overclothes, pakaian, and kotak mantel.